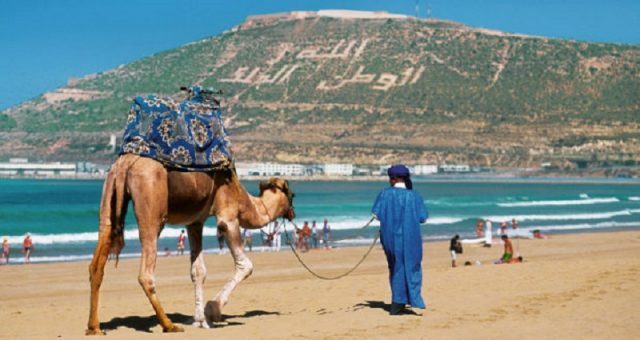 A total of 1,117,748 tourists visited the city of Agadir in 2018, up by 13.41% compared to the year before (985,592 visitors), the Regional Tourism Center (CRT) of Agadir Souss-Massa said. Rabat – Domestic tourists top the list with 379,558 people, against 359,837 in 2017 (+5.48%), the source added. The French market comes in second place with 179,282 tourists (+23.94%), followed by German visitors (129.189 people) and British tourists (105.648 visitors). The 4-star hotels attracted the largest number of tourists in 2018 with a total of 249,954 people, the source pointed out. The average occupancy rate at the various tourist establishments in Agadir reached 54.17% in 2018, an increase of 4.67% compared to 2017.